Just added to Damon & Naomi's online store are some gems including a couple of very rare Galaxie 500 singles - but you'd better be quick because there aren't many! Firstly the absolute gem of a single released on Caff Records featuring live versions of The Beatles' Rain and Don't Let Our Youth Go To Waste - there are just 10 copies of these beauties up for sale so grab one while you can!. 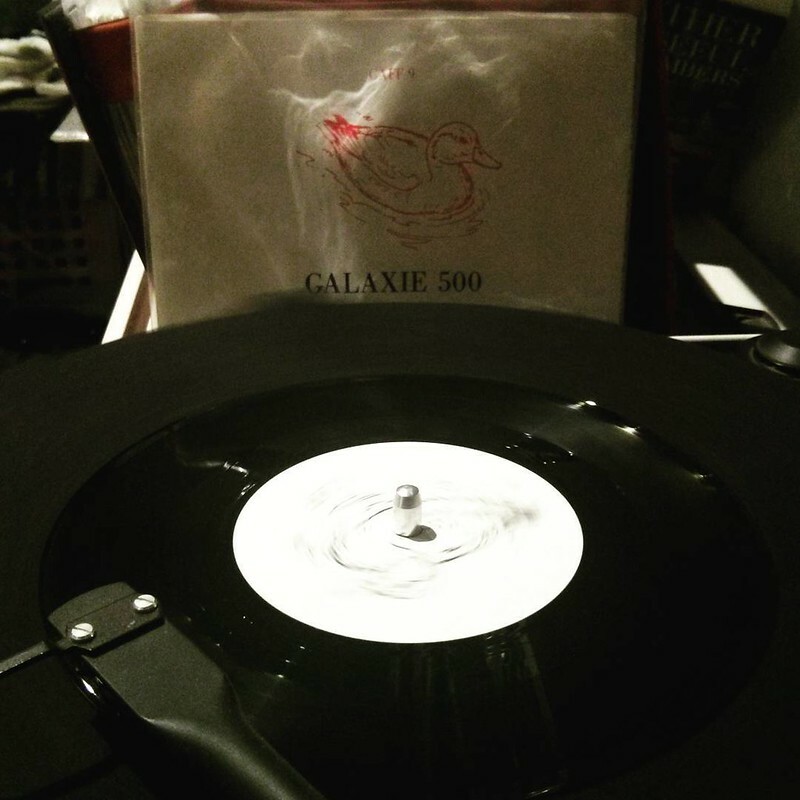 You can also grab one of only eight copies of Galaxie 500's split single with Straightjacket Fits - the single features Blue Thunder and Victory Garden. Also added to the online store are some Eclipse T-shirts in new coloured designs - a beautiful "Antique Gold" one and a white one with a blue print.